Download the written application from this website and stick it on the bottom right of the back side of your work sheet. Application requirements Freelance designers, in-house designers, and students are all welcome to participate regardless of their affiliation and nationality. Access the following link and click "GET TICKETS" to purchase the listing fee ticket and register. Submissions must be submitted by the creator and must be limited to unreleased original works. We accept multiple submissions. 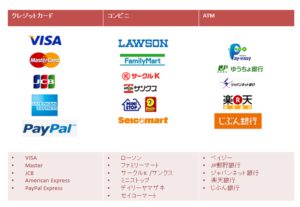 However, each submission requires the purchase of 1 listing fee ticket (1,500 yen). Proposals of size, colour, and series under the same concept should be compiled into one work. Double entry of the submissions to other competitions is not allowed. Furthermore, submissions may not be displayed in other locations or events without prior consent of the organiser. The application may be deemed invalid in case the application data is incomplete. Please confirm you’re application thoroughly before submission. Works will not be returned. Parental permission is required for award-winning minors. Monetary prizes will be paid after deducting taxes such as withholding tax. The organiser will strive to secure the best conditions for the management and transportation of the submitted works. However, the organiser will not be responsible for any damage or loss resulting from natural disasters or other force majeure. Awards may be cancelled if the applicants are deemed to belong to any anti-social forces. The organizer will own all the rights of the winning submissions (prize-winning works). The intellectual property rights of submissions excluding winning submissions will belong to the respective applicants, in principle. Please consider protective measures such as protection of rights when applying. In the event the submitted work is deemed to be the same or similar to previously published designs or, deemed to infringe the intellectual property rights of a third party, the award may be cancelled regardless of the result declared by the judging committee. The organiser will have the right to use submitted works for the exhibition and presentation of the competition. Awarded product to be commercialised may be slightly modified appropriately at the time of commercialisation. Applicants' personal information will be used exclusively for management communication, announcement of the results, and shipping materials.